 Vehicle pulling to one side?  Steering wheel is off center? Have you recently driven over a large pot hole? Is your vehicle simply getting on in age? Even a small amount of misalignment can be enough to have an affect on your tires, putting pressure on your vehicle and reducing safety. If you have hit a curb or gone over a pot hole you may be unaware that it has caused any damage. This may not be immediately evident until you start noticing problems. If left however, wheel alignment issues can lead to handling issues and unevenly wearing tires. How do you check for misaligned tires? This can be hard to spot with by eye. You will probably notice a problem if your vehicle starts pulling to the left or right, or your tires wear unevenly. 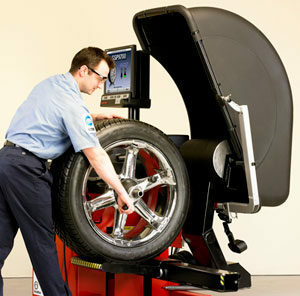 At Country Club Garage we use specialist equipment to accurately check and realign your wheels. Did you know that realignment can help to make your tires last longer? Your tires are the most important safety feature on your car, you want a mechanic you know you can trust. Country Club Garage has been providing reliable, affordable auto services and other auto services in Wallingford, CT for more than 40 years. Our highly skilled mechanics take pride in their work, always striving for the best. You can rest assured you will be completely satisfied with our service. Call to schedule a wheel alignment today!